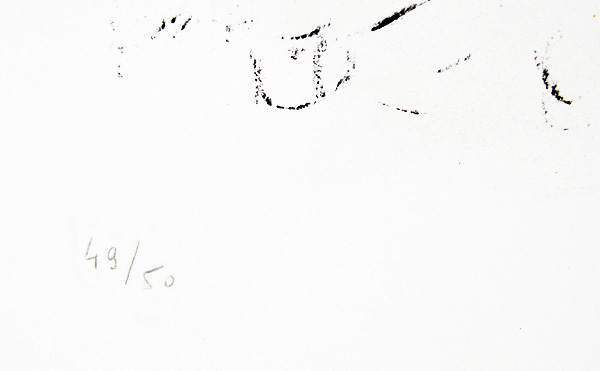 Numbered from the edition of 50 in pencil in the lower left; there are also 25 artist’s proofs. 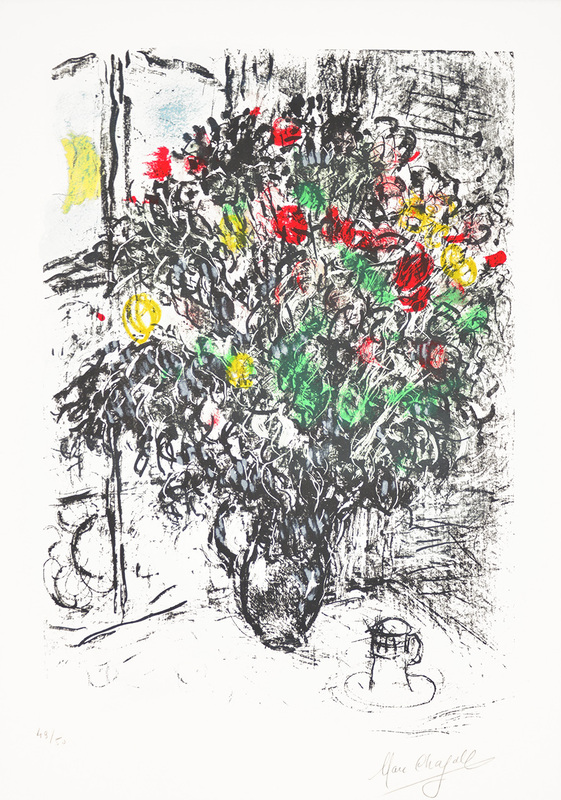 Marc Chagall Le Bouquet Rouge (The Red Bouquet), 1969 is a splendid study of still-life. 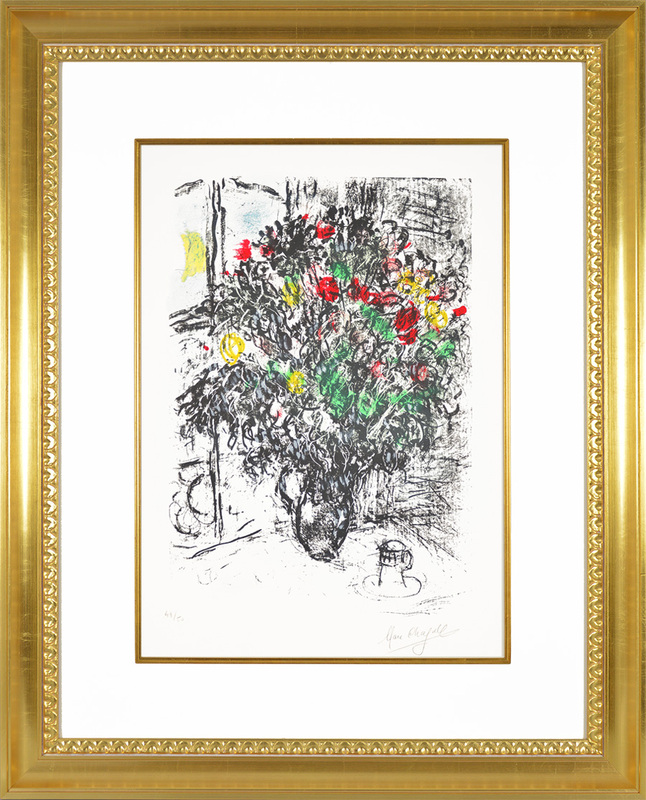 A bountiful bouquet of vibrantly colored flowers bursts forth towards us, making this still life anything but still. 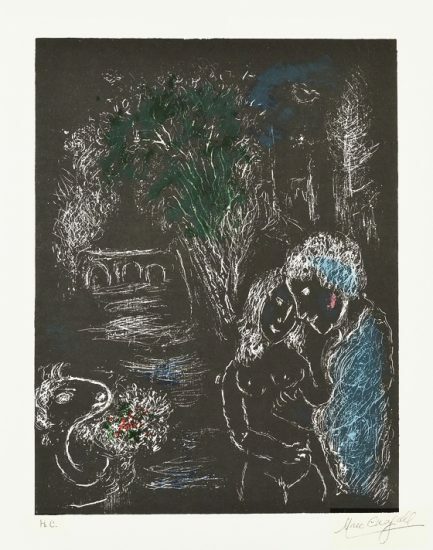 Deviating slightly from his trademark style, Chagall uses bold black lines to convey the basic composition of this work. 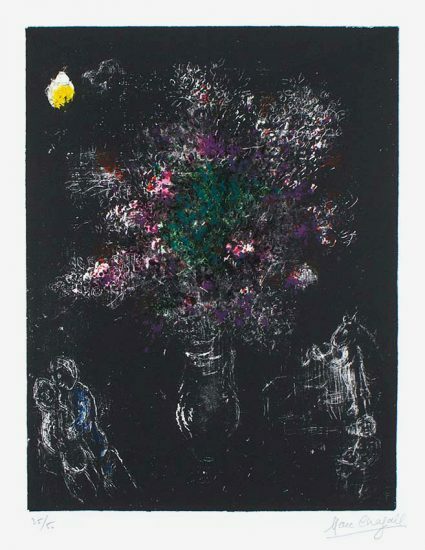 He then adds splashes of vivid colors that contrast against the black, causing the image of the bouquet to stand out. 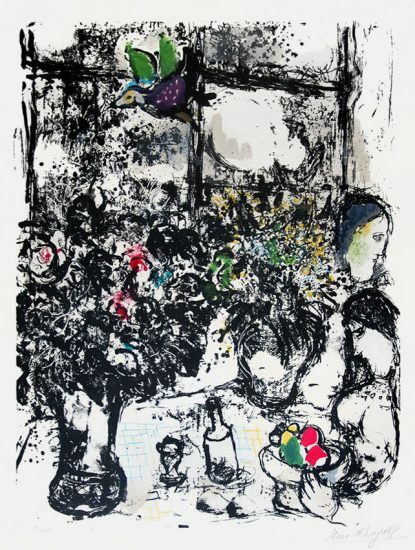 This sweet image conjures a sense of intimacy as viewers are invited into a private home. 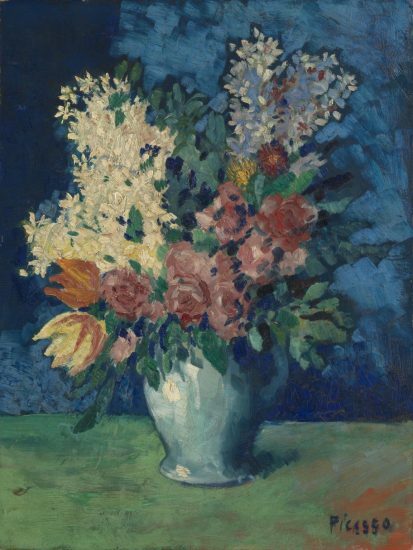 The bouquet rests upon a table in a corner next to an airy window, through which we can glimpse the clear blue sky with a bright yellow sun. A simple message can be found in this stunningly detailed work: to always appreciate the splendor of everyday life. 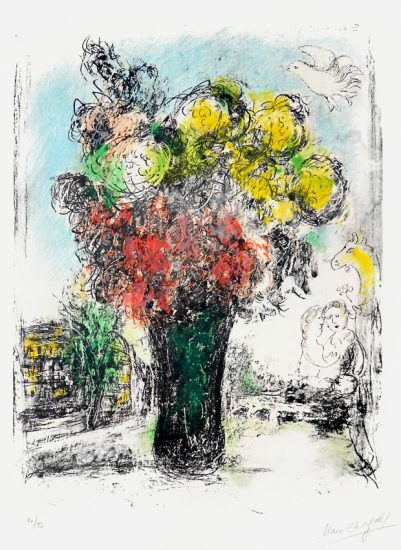 Created in 1969, this color lithograph with an Arches watermark is hand-signed by Marc Chagall (Vitebsk, 1887 - Saint-Paul, 1985) in pencil in the lower right. 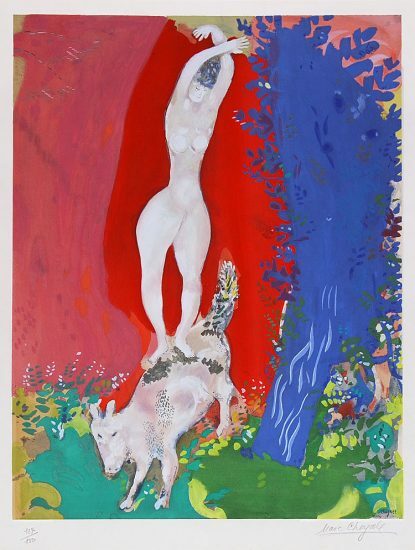 Numbered from the edition of 50 in pencil in the lower left; there are also 25 artist’s proofs. 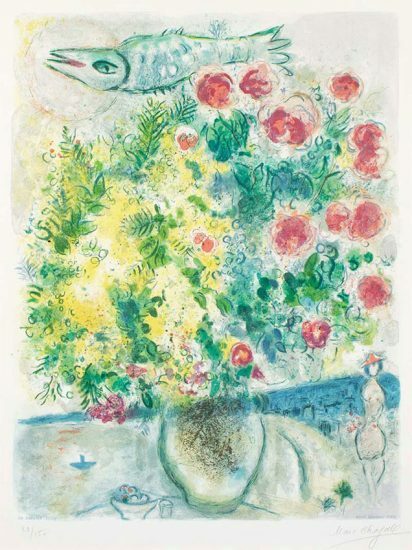 Marc Chagall The Red Bouquet (Le Bouquet Rouge), 1969 is fully documented and referenced in the below catalogue raisonnés and texts (copies will be enclosed as added documentation with the invoices that will accompany the sale of the work). 1. Gauss, Ulrike, ed. 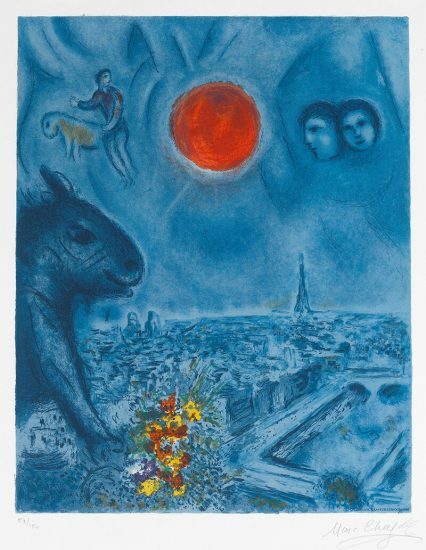 Marc Chagall: The Lithographs, La Collection Sorlier. Stuttgart: D.A.P., 1960. Listed and illustrated as catalogue raisonné no. 580. 2. Sorlier, Charles. 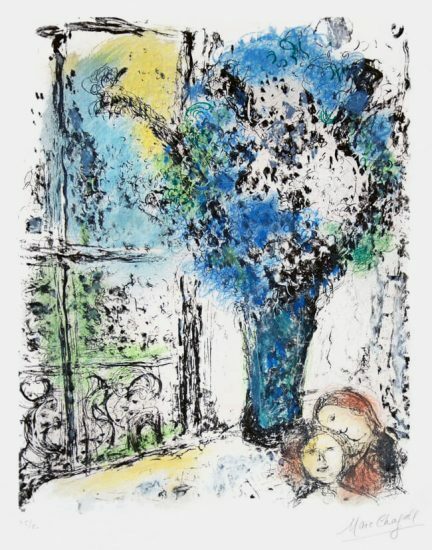 The Lithographs of Chagall, Vol. IV 1969 – 1973. New York: Crown Publishers, 1974. Listed and illustrated as catalogue raisonné no. 580.